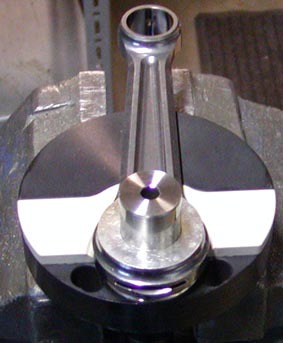 the crankshaft side with the long end. 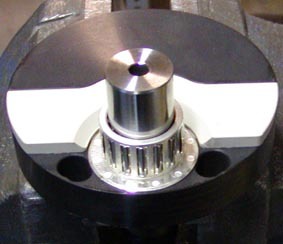 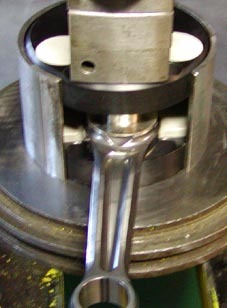 washer on the crankshaft pin. 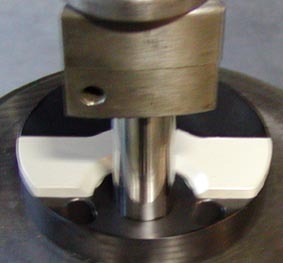 Pres the second half down over the crankshaft pin, the pressure have to be be twin 3 tons and 5 tons target is 4 tons, if the pressure is to low is there to much oil on the pin and in the hole, if the pressure is to high, is the pin and the hole to dry, you can dry one of the part with acetone.